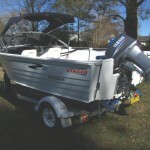 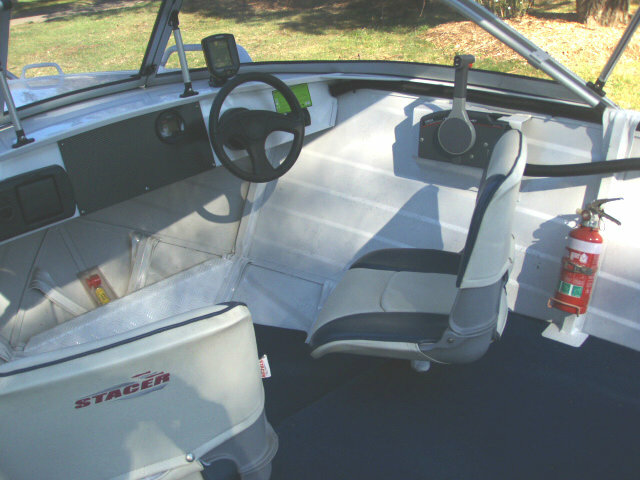 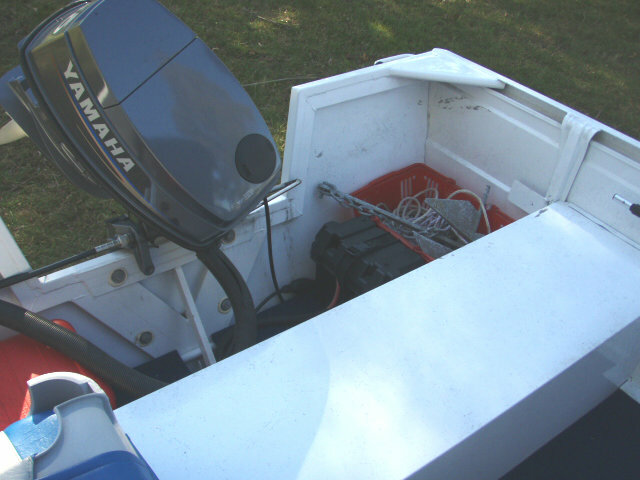 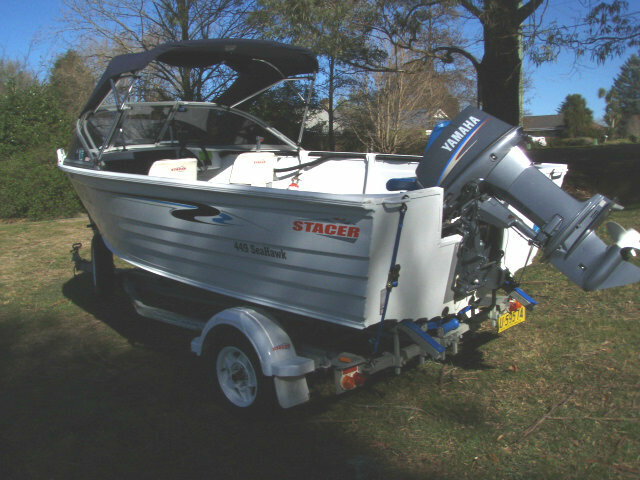 2008 Stacer 449 Seahawk Runabout powered by a Yamaha 40hp 3-cyl 2-Stroke Outboard engine with only 33 hours of use. 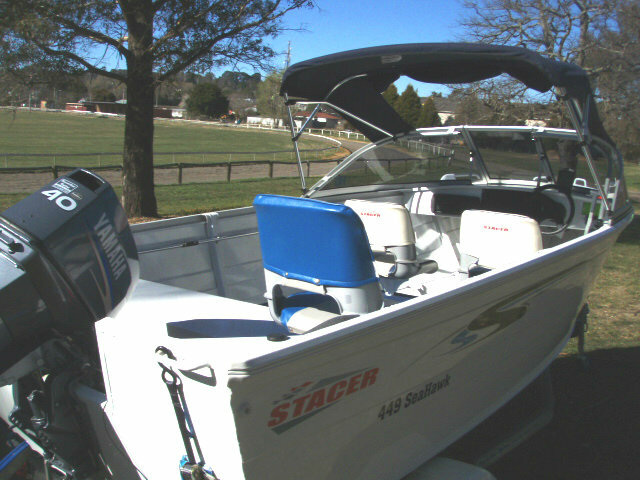 Stacer has achieved it’s goal with the Seahawk – a boat to appeal to boating novices and the budget-conscious ! 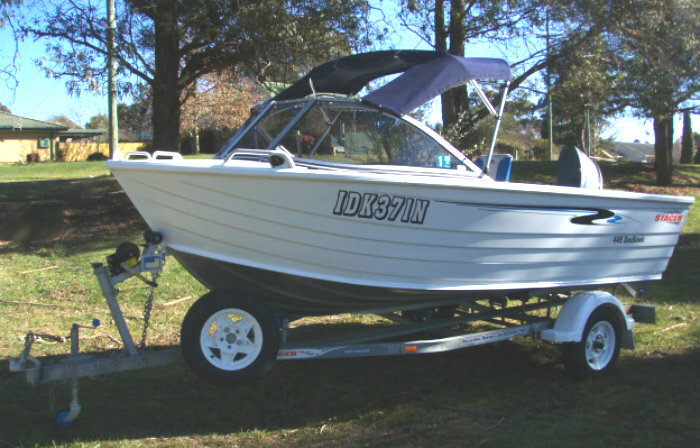 The result has been an optimum standard of performance and safety at an attractive price, packaged in a balanced, versatile and economical entry-level runabout. 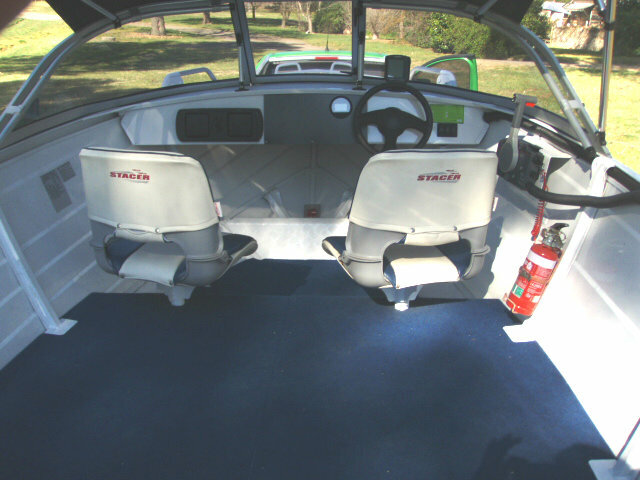 The 449 Seahawk has an extensive cockpit area and sheltered seating for the skipper and one passenger, with an aft bench seat accommodating the crew. 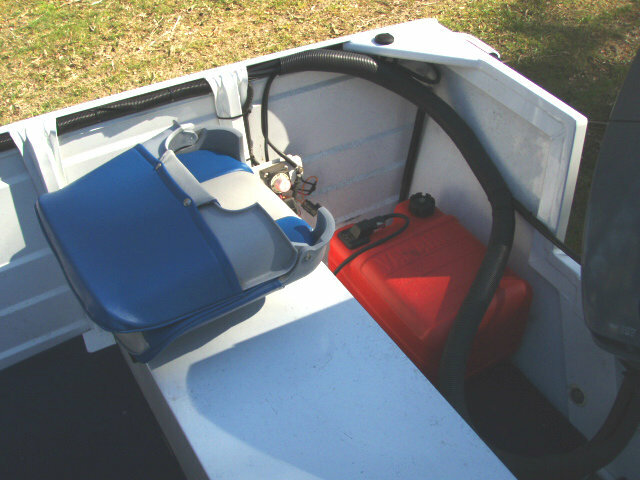 The generous freeboard and ample gunwale-to-floor height means that most smaller children would require little supervision to remain safe whilst also producing a fair degree of dryness in a chop. 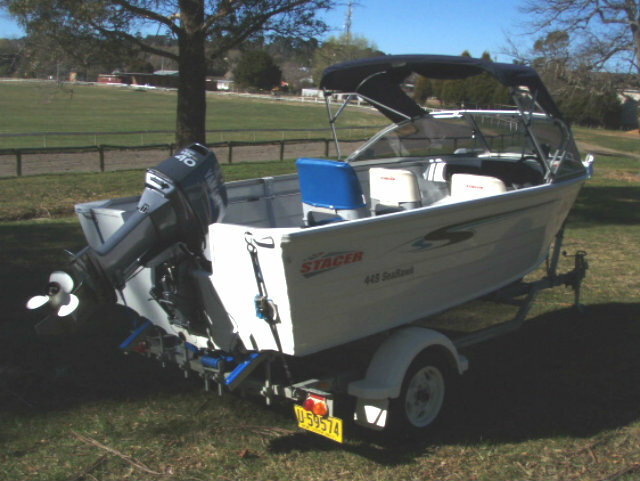 The wide chines of Stacer’s proven EVO hull design supplies excellent stability at rest and easy planing with relatively fewer horses. 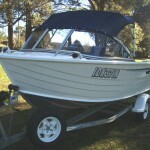 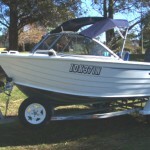 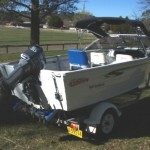 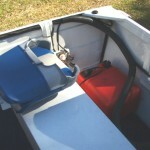 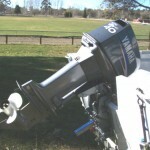 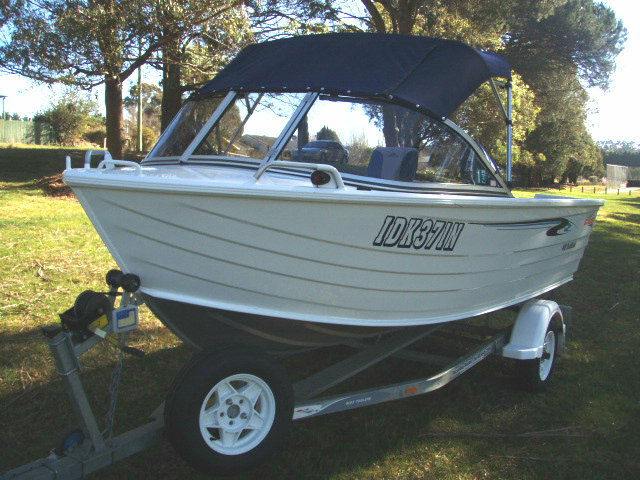 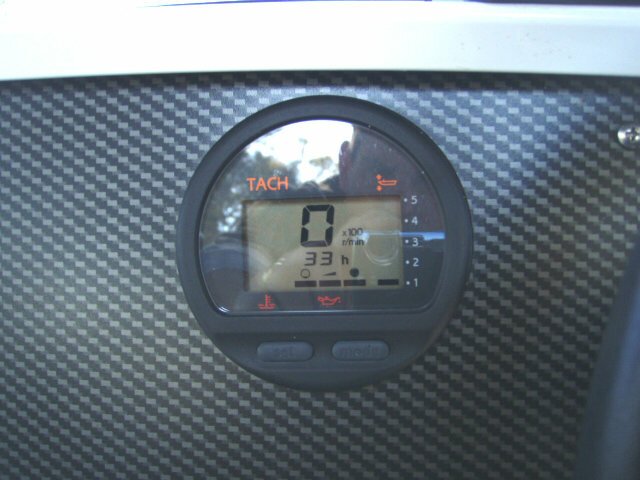 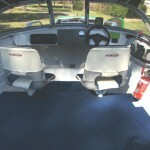 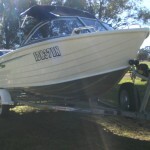 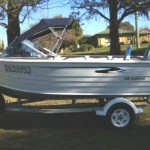 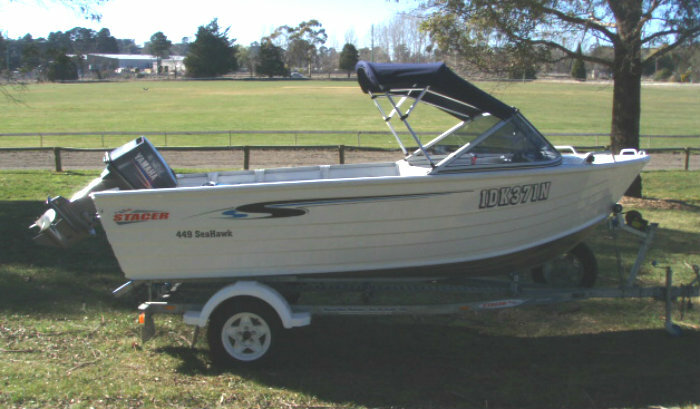 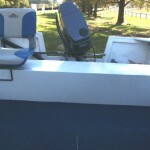 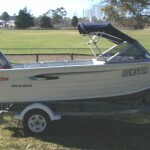 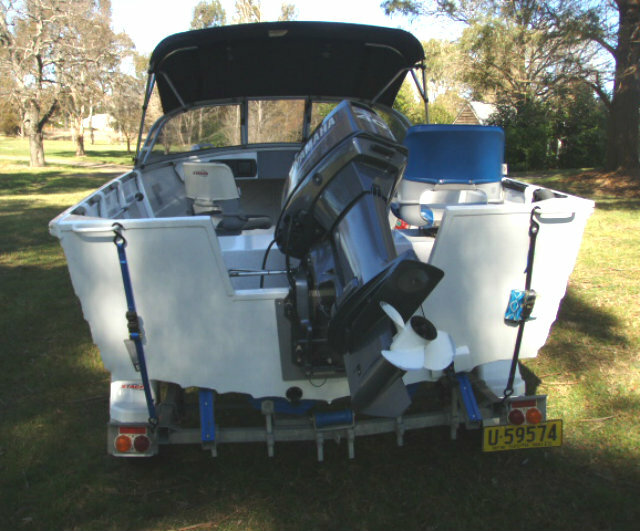 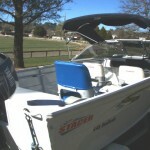 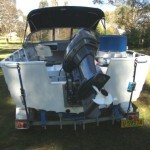 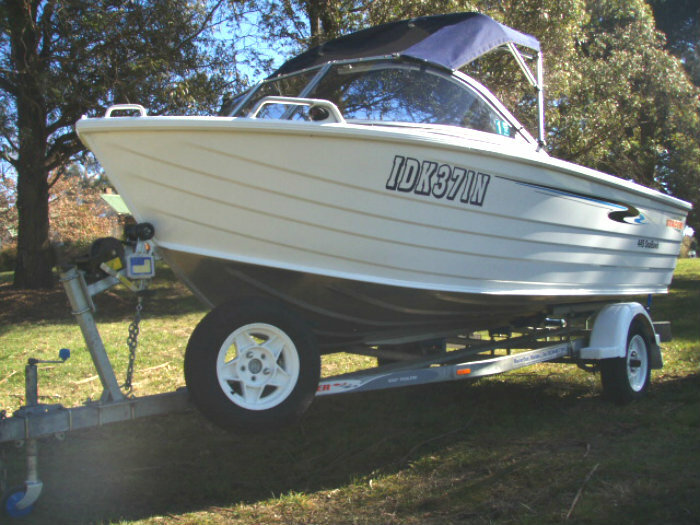 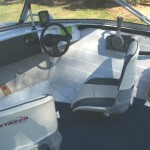 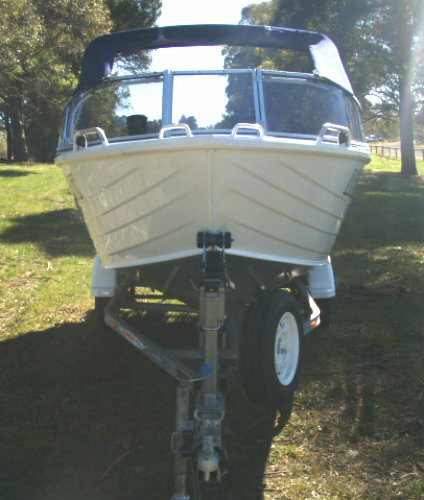 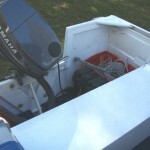 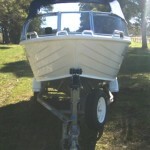 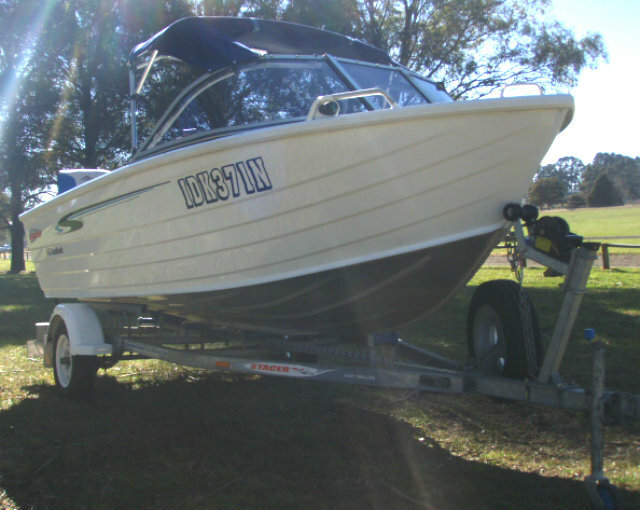 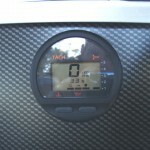 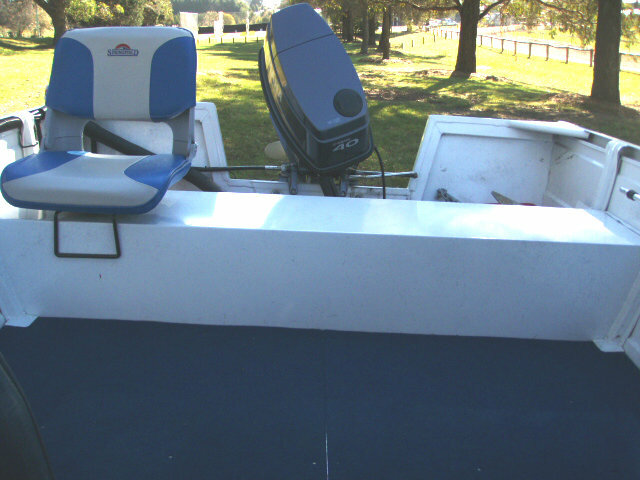 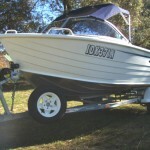 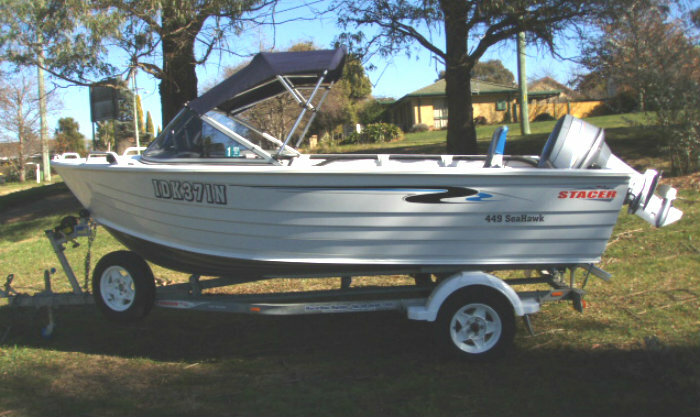 This Seahawk is a one owner boat first registered in Jan,2008 and presents in ‘ as-new ‘ condition. 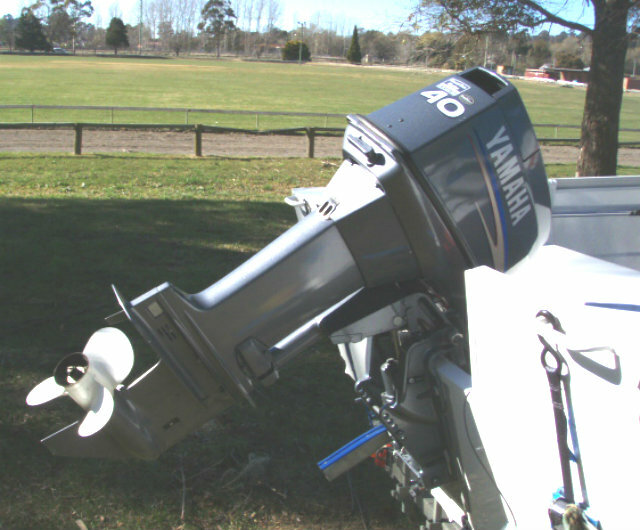 There is certainly fun and fishing to be had here, and economicaly.